On this Sunday’s Slasher Studios Web Cast Kevin Sommerfield and Steve Goltz will be discussing the recent trends in Hollywood Horror. We will be talking about the Hollywood 3D craze as well as the remake controversy and the PG-13 vs R horror debate. Show starts Sunday night at 10PM central. 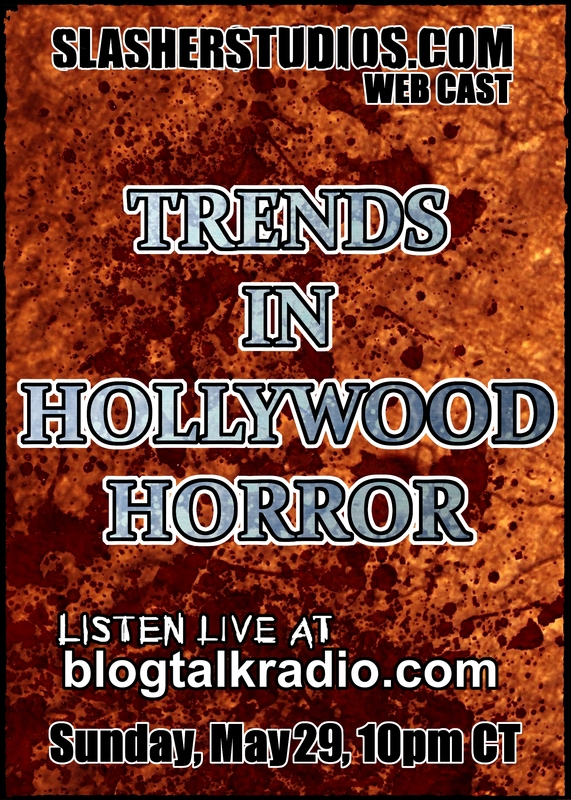 Make sure to listen in so you can discuss with us live on the air how you feel about the recent trends in horror. Click on the link before for more information and to also listen to our previous shows.